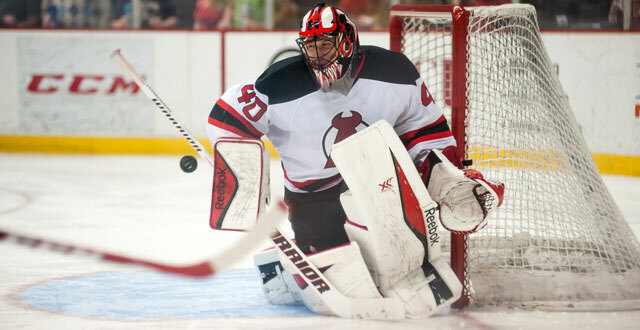 Newark, NJ – The New Jersey Devils have named Scott Clemmensen to the position of goaltending development coach. The announcement was made by Devils’ General Manager Ray Shero. Clemmensen, 37, joins the coaching staff after a 14-season professional playing career, including eight seasons over three stints with the Devils’ organization. 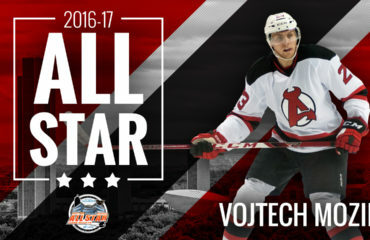 He split the 2014-15 campaign by appearing in 27 games with Albany (AHL) and three contests with New Jersey. The 6-2, 200-lb. goaltender saw action in 191 career NHL games with New Jersey, Toronto, and Florida, posting a 73-59-24 mark with seven shutouts and 2.79 goals-against average. 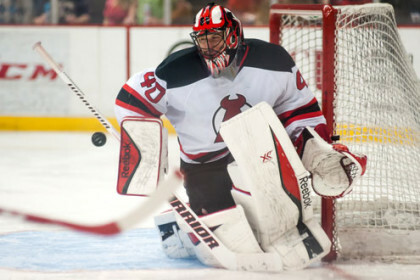 His Devils’ totals showed 68 games played, with a record of 32-19-6, four shutouts and 2.60 GAA. Clemmensen had his best season in 2008-09, when he finished first among New Jersey netminders with 40 games played, 25 victories and a 2.39 GAA. He re-signed with the Devils on July 1, 2014 after spending the previous five seasons with the Panthers’ organization, which included time with San Antonio (AHL). Born July 23, 1977 in Des Moines, IA, he also appeared in six games for Team USA at the 2010 World Championships. He also played one season, 2007-08, with the Maple Leafs’ organization, after signing as a free agent July 6, 2007. Clemmensen made his pro debut on October 6, 2001 after four seasons at Boston College (HE). He helped lead the Eagles to the 2001 Hockey East and NCAA Championships. 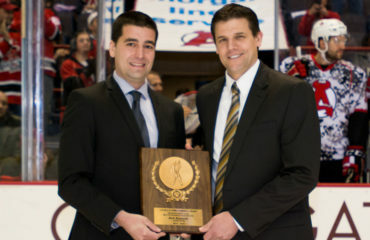 Clemmensen was named to the 2001 NCAA Championship All-Tournament Team and 1998 Hockey East All-Rookie Team. He led the conference with 30 wins his senior season, and also paced the league in games played, minutes and shutouts on two occasions. Clemmensen played his junior hockey at Des Moines (USHL), and was New Jersey’s seventh choice (eighth round), and 215th overall selection in the 1997 NHL Entry Draft. Scott and his wife, Vanessa, have two daughters, seven-year-old Olivia and three-and-a-half-year-old Julia.